Thailand’s largest operator brings Wireless M2M services to enterprise users. Thailand’s largest mobile operator, AIS, today announced the launch of Mobile Track and Trace, one of the world’s first enterprise-specific SIM-based location-based service (LBS) solutions. Powered by W-Locate’s XimLoc, Mobile Track and Trace brings improved indoor tracking and M2M capabilities to AIS corporate subscribers. Mobile Track and Trace offers AIS’ business customers accurate outdoor and indoor location-based services to enable the development of products for advertising, promotions and the tracking of high-value goods. With XimLoc, operators can provide location-based services from their own networks, with minimal CAPEX and provides increased Return on Investment. XimLoc runs as an algorithm on a mobile device’s SIM card, so operators do not have addition investment in costly new hardware. This means that XimLoc has an extremely short lead-time, providing operators an immediate and manageable entry into M2M-based service provisioning. Operators can also incorporate SMS notifications into the solution with additional customizable options to secure new revenue streams. “The enterprise sector has been a focus of AIS for a while now,” said Somchai Lertsutiwong, CEO of AIS. “We are proud to have partnered with AIS to develop Mobile Track and Trace for its business customers,” said Stevie Ooi, CEO of W-Locate. 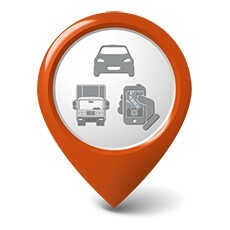 Visit www.w-locate.com or contact sales@w-locate.com for more information. W-Locate provides SIM-based location services, utilizing mobile operator’s already existing infrastructure to provide new services and network monitoring without the need for large CAPEX. W-Locate’s XimLoc solution is already deployed in a number of leading mobile network operators. XimLoc has been designed with third-party API support, making it highly scalable and customizable. It is based on the GSMA’s OneAPI initiative, which means tracking can take place across different networks and across different countries.